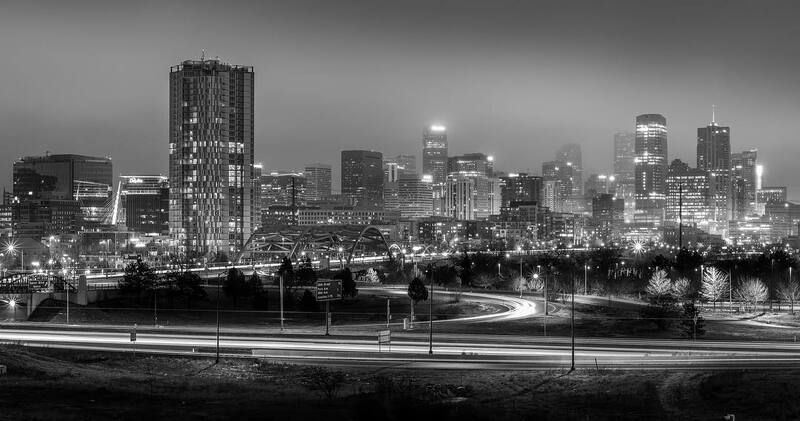 Below is a photo I captured of the Denver skyline on 9/15/17. 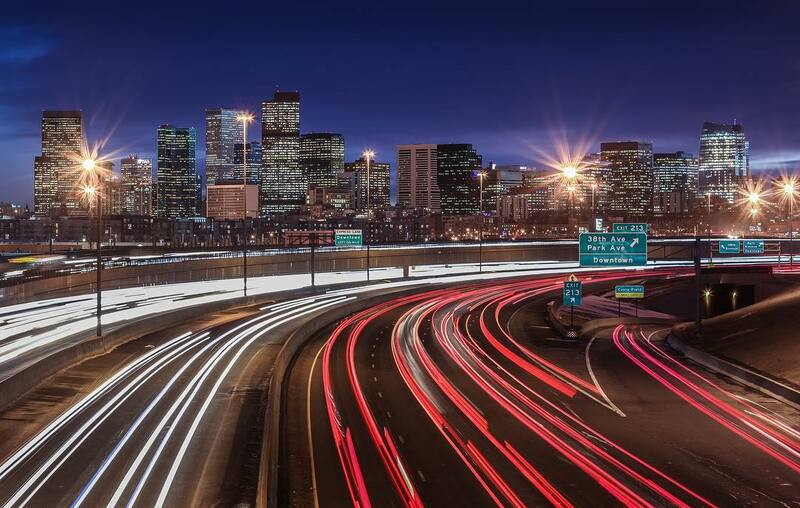 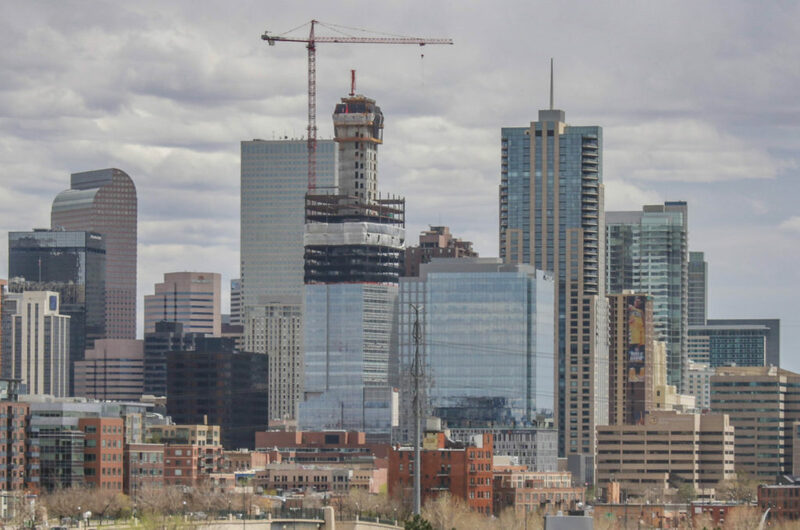 The Denver skyline sure has evolved in the last couple of years. For comparison, below is a photo of the Denver skyline I captured in June of 2015. 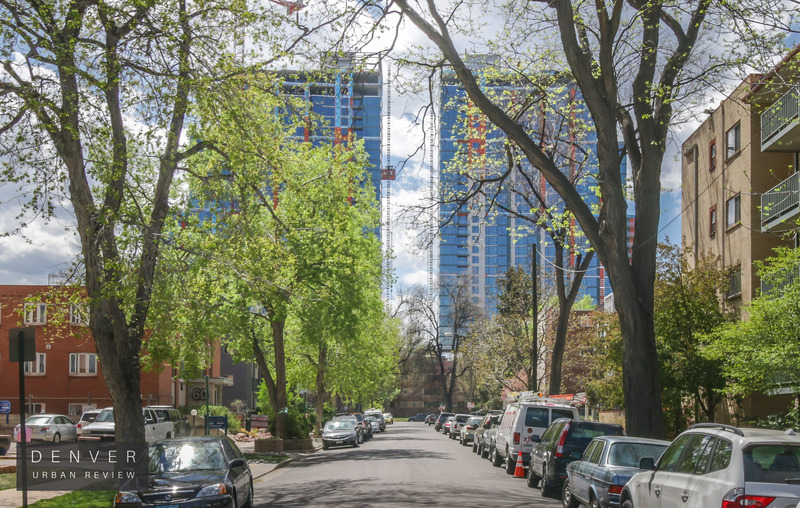 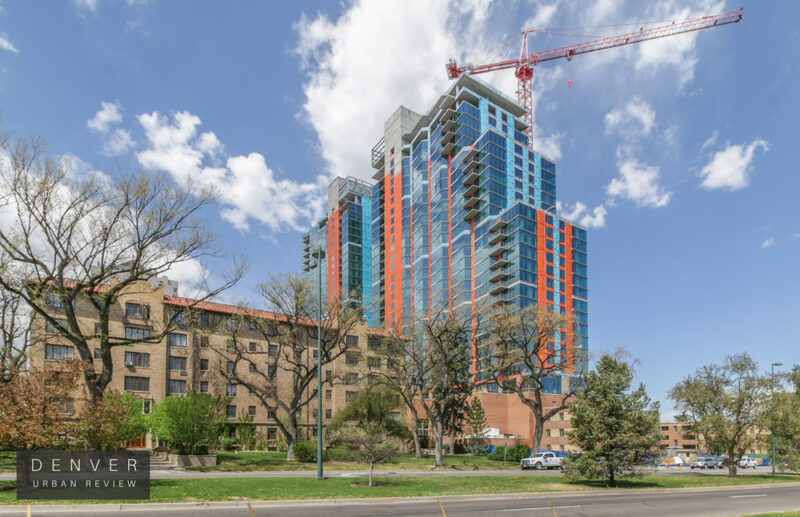 A groundbreaking celebration was held at 17th Ave. and Raleigh Street in Denver to kick off construction of Lakehouse, a 12-story condominium project. 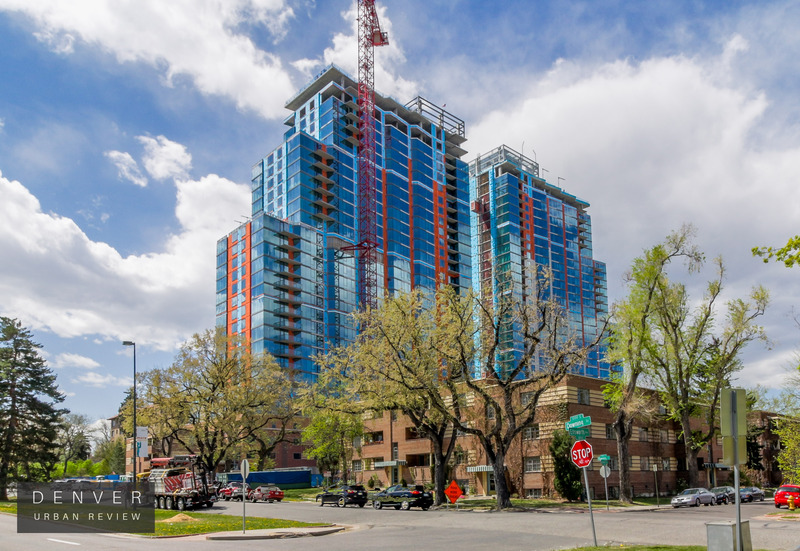 NAVA Real Estate Development is the developer of the project. 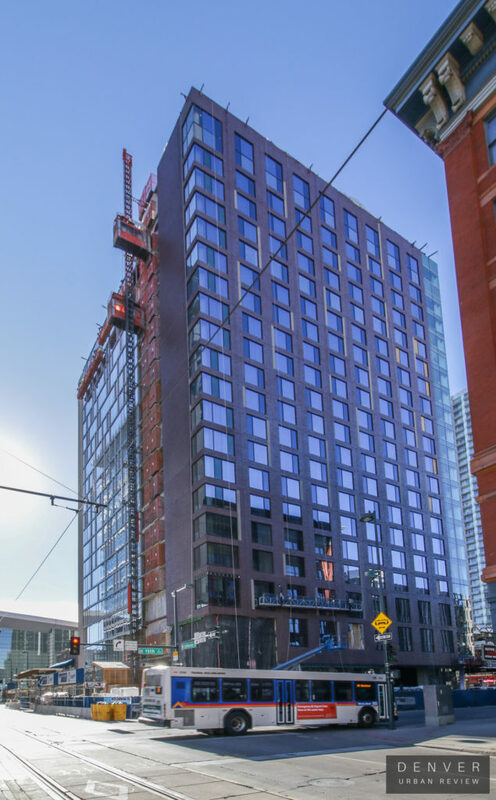 Lakehouse will include 206 units. 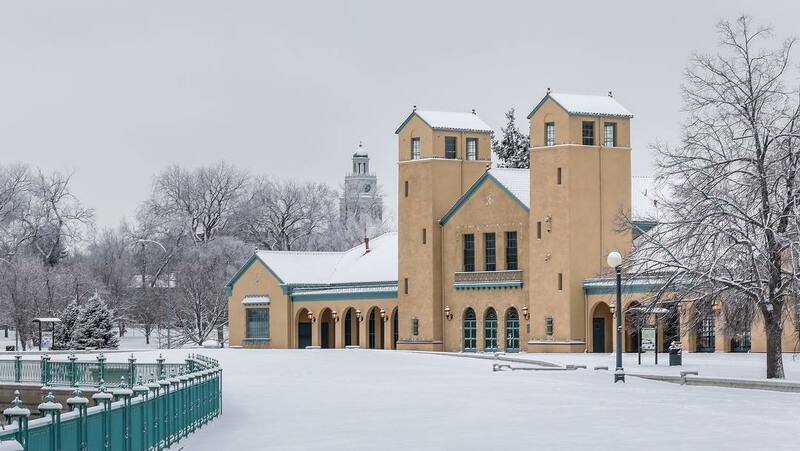 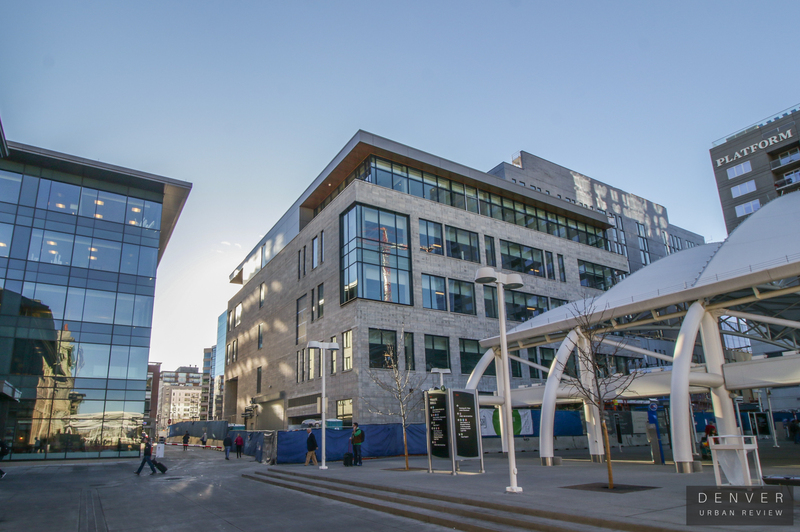 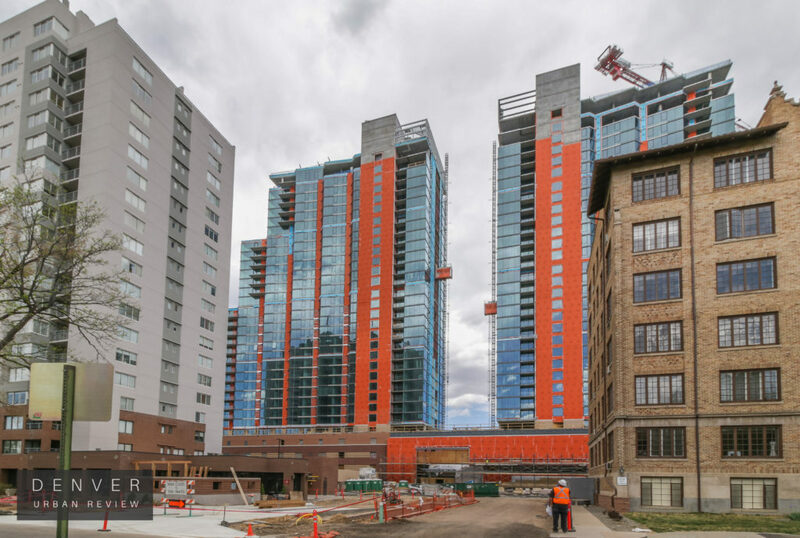 The development is located just south of Sloans Lake on the former site of St. Anthony Hospital. Fireworks went off as members of the development team and representatives from the City of Denver broke ground on Lakehouse. 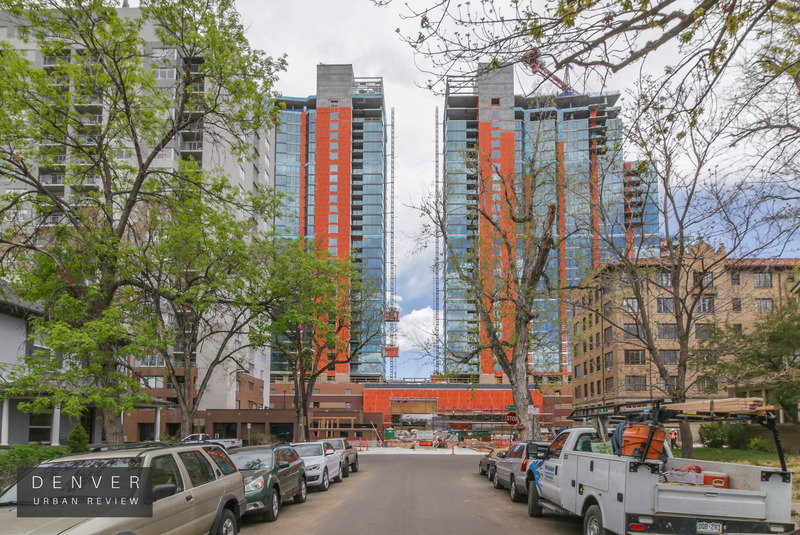 Condominiums range in size from 675 square feet to 2,285 square feet, with one, two and three bedroom options, and the rowhomes are two bedrooms, ranging in size from 1,300 square feet to 2,473 square feet. 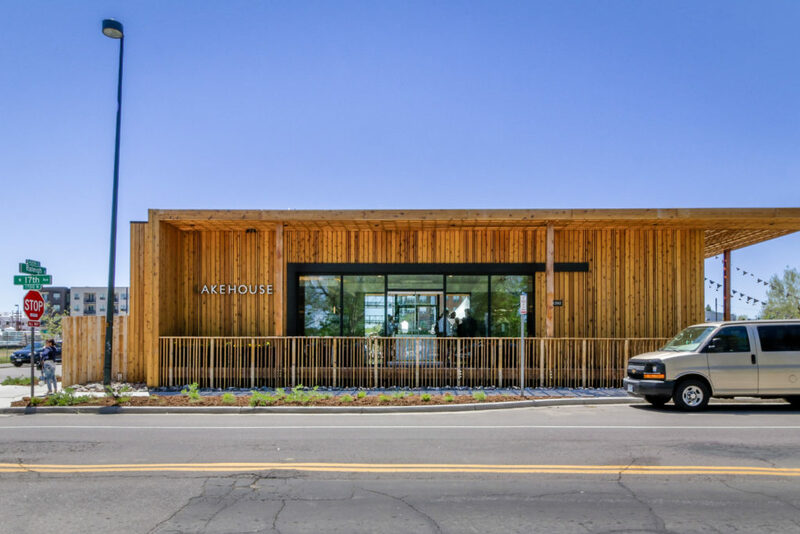 A diorama of Lakehouse is on display inside the the on-site sales center at 17th Ave. and Raleigh st. NAVA Real Estate Development was founded in 2013 by NAVA principals Trevor Hines and Brian Levitt. 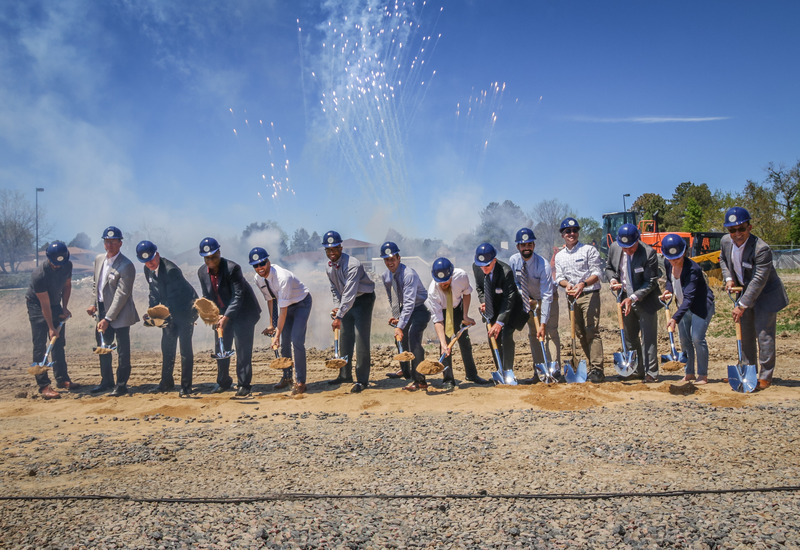 "The groundbreaking is the moment when Lakehouse leaves the realm of the conceptual, it's no longer a plan, it is no longer on paper, and it becomes a tangible reality," stated Hines while addressing the crowd at the groundbreaking ceremony. 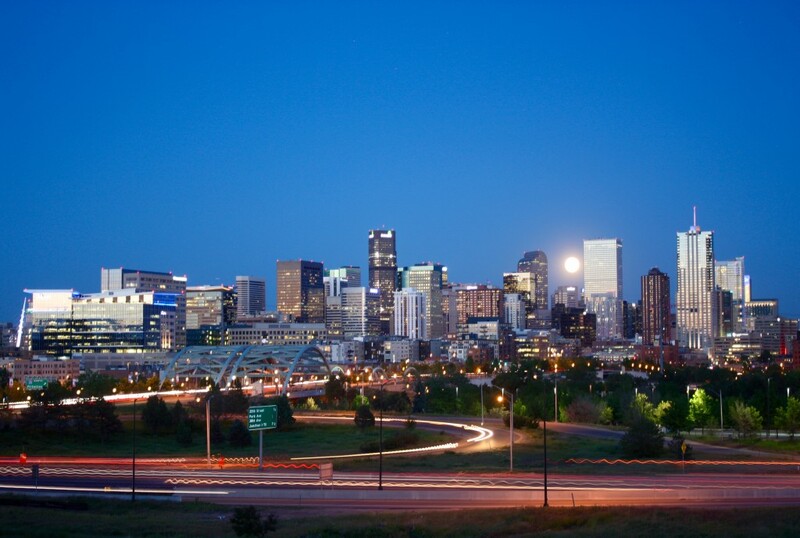 "Lakehouse is going to be a place that is unlike anything else available in Denver today. 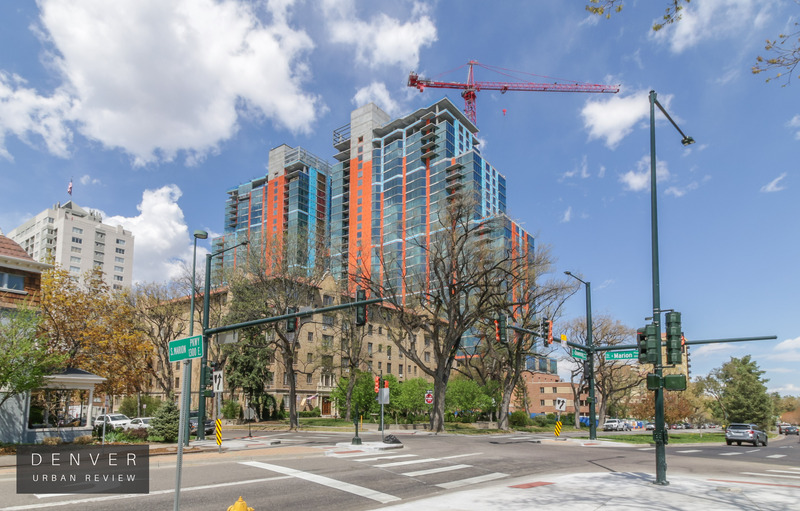 It offers amenities that cannot be found, architecture that advances far beyond the standard fare, and even the best that is being built." 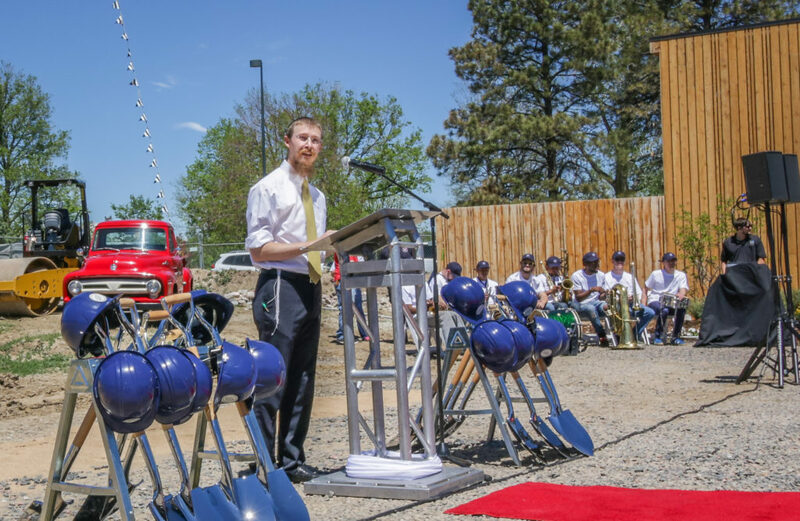 Trevor Hines pictured above addresses the crowd at the groundbreaking celebration. 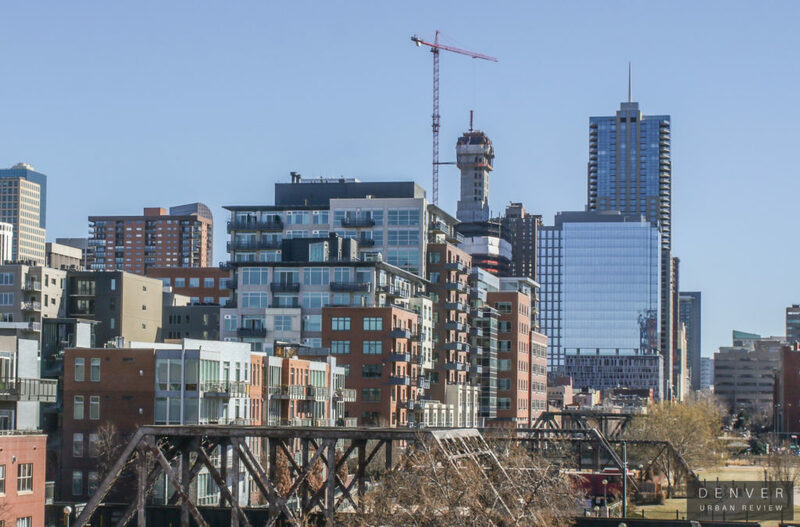 Lakehouse is being designed by RNL Design, with some collaboration with Munoz + Albin Architecture & Planning. 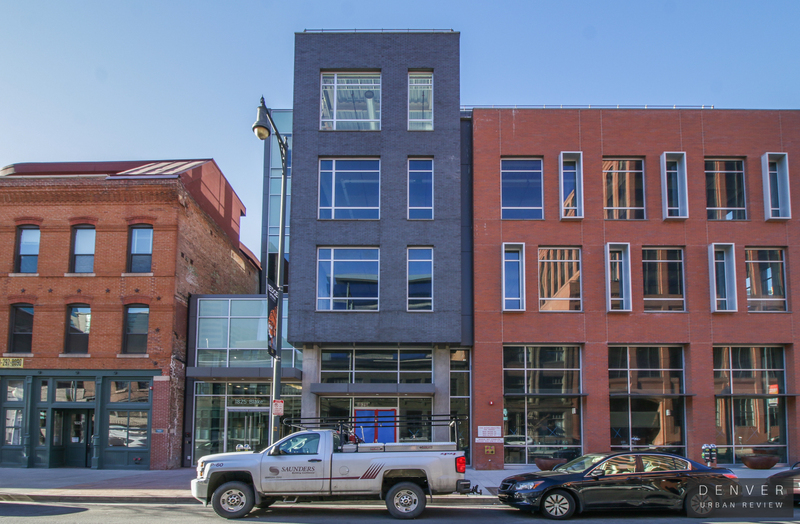 The general contractor is GH Phipps. 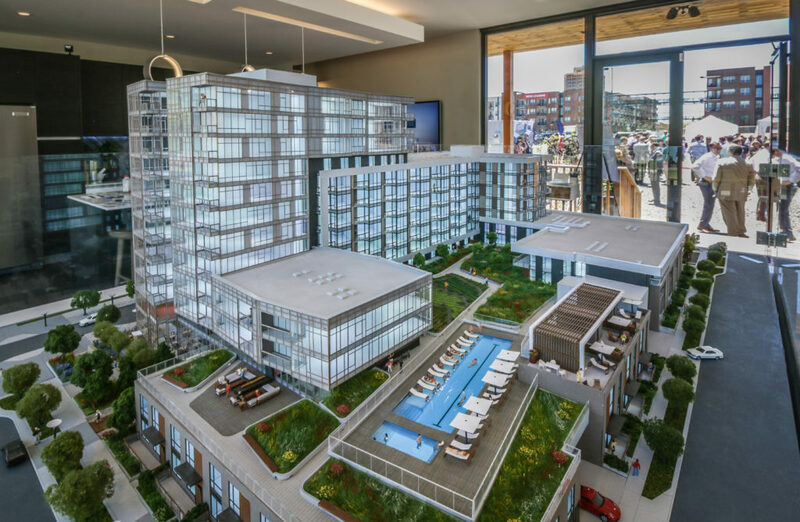 Above is a rendering of Lakehouse courtesy NAVA Real Estate Development. 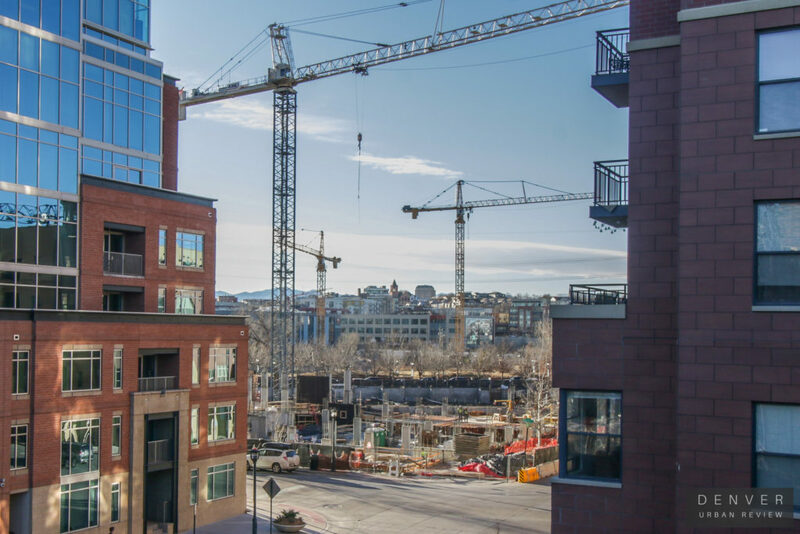 Lakehouse is one of the few condominium projects under construction in Denver. The property will feature a gym, yoga studio and sauna. 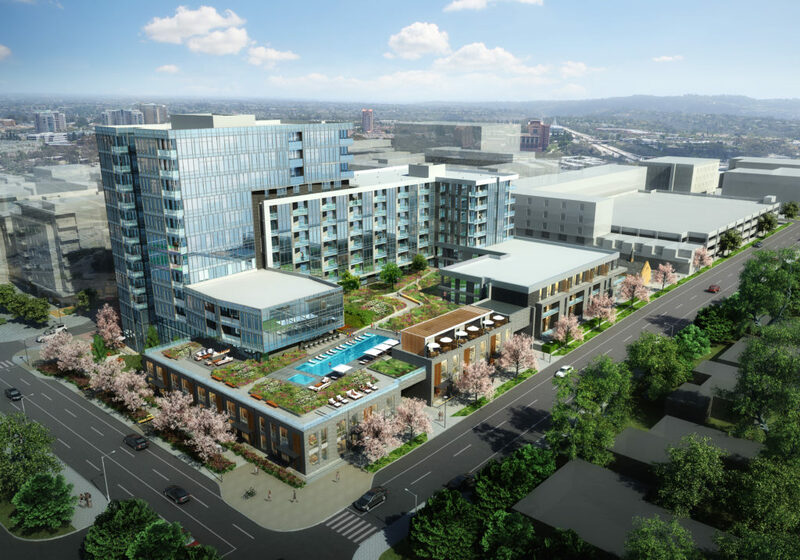 An open air pool overlooking Sloans Lake and a patio with fire pits will also be included. 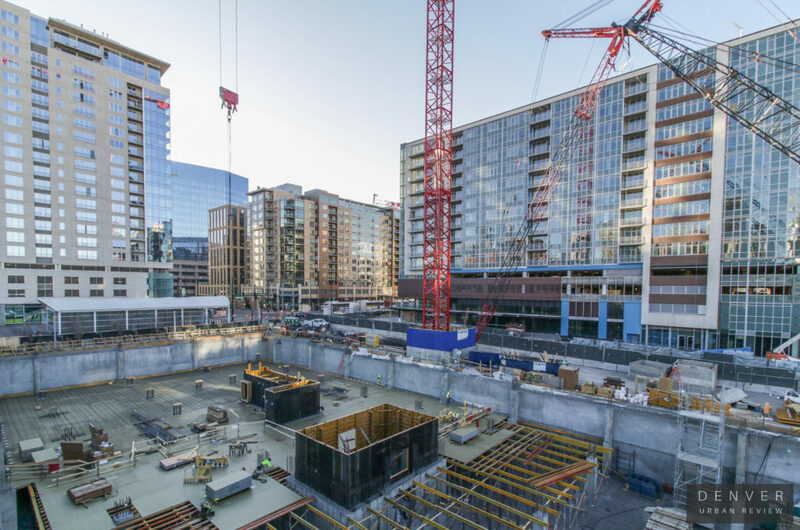 The units will contain open-air balconies, chef-inspired kitchens with Italian cabinetry and five-piece master baths. 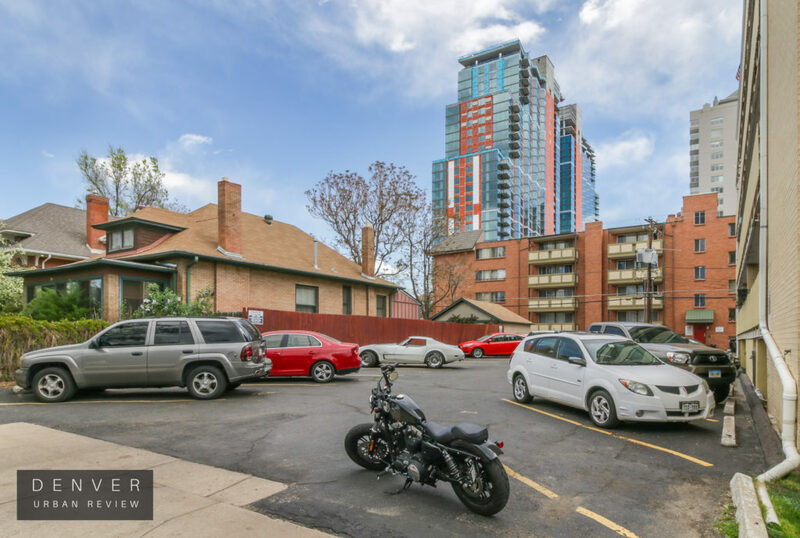 Below-grade parking will included in the building. 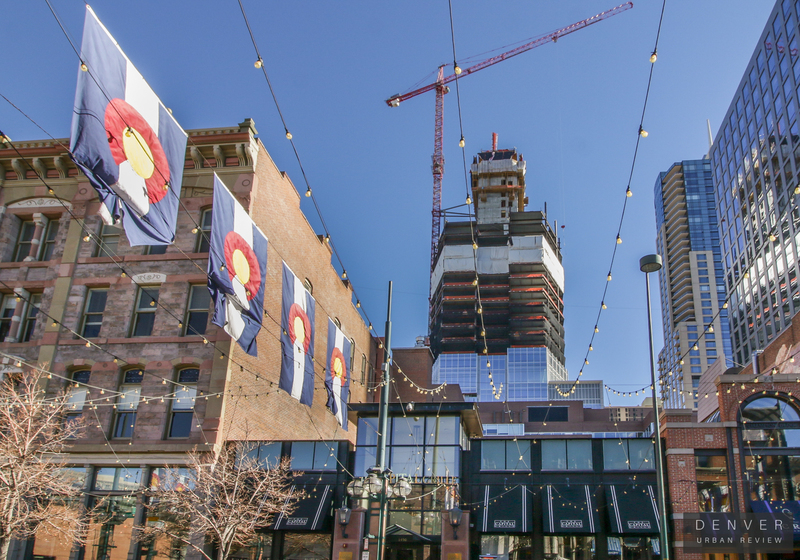 Denver City Council President Albus Brooks spoke at today's ceremony. 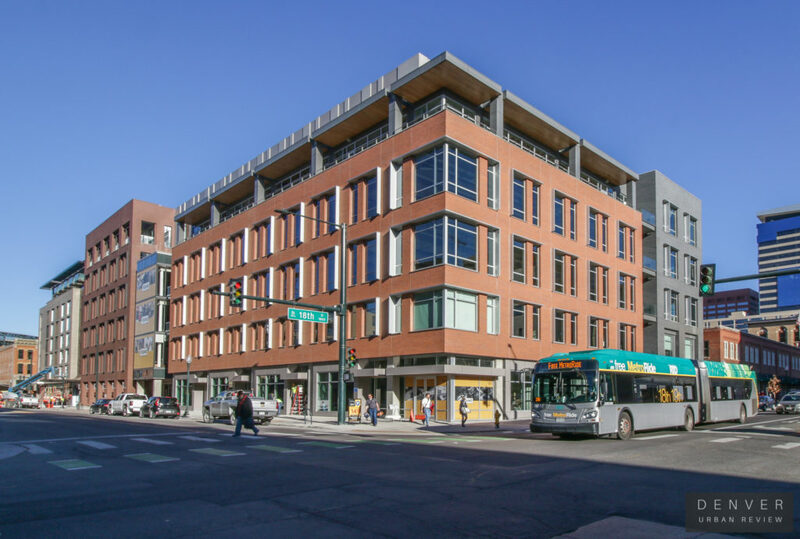 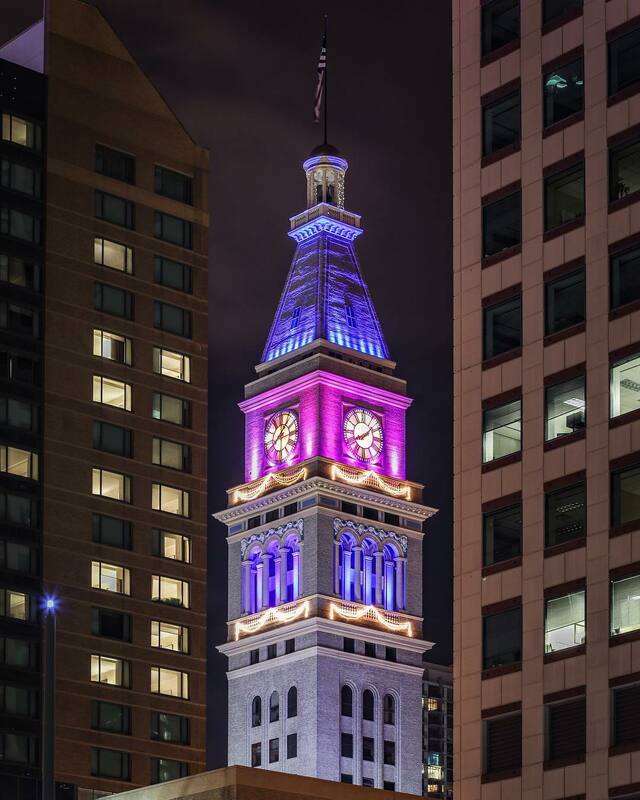 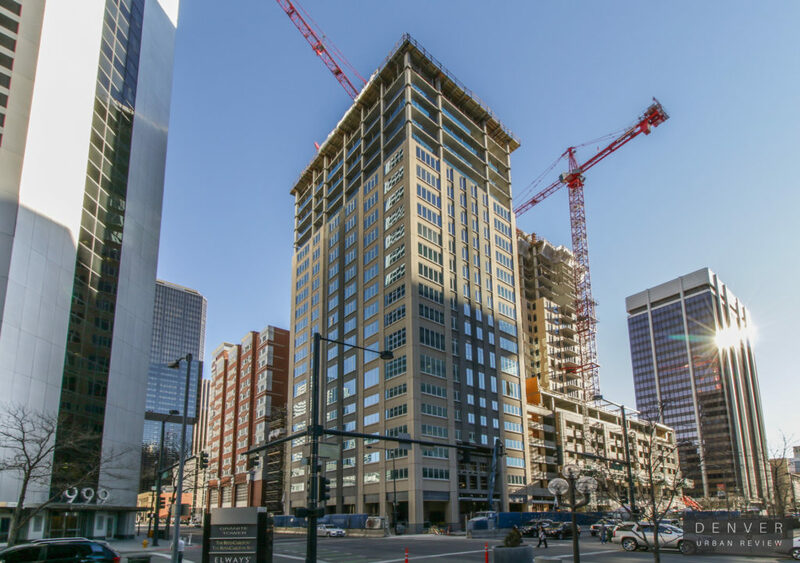 "I want to tell Trevor and Brian and NAVA thank you for one of the few condo developments in the city of Denver," said Brooks. 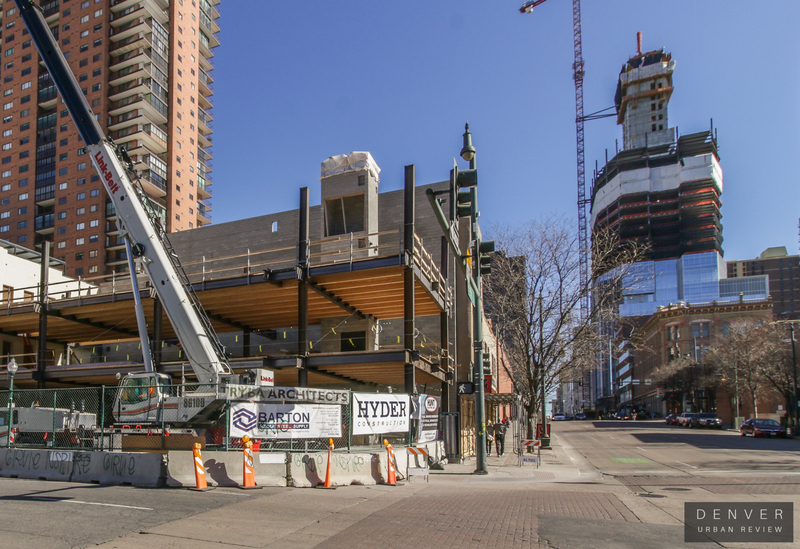 Below is a photo of the on-site sales center. 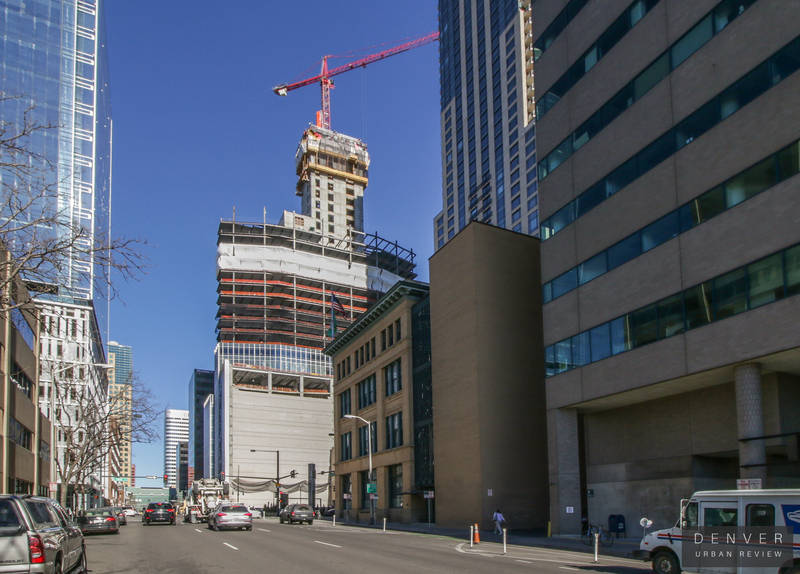 This week I had a break in my day and took a look at the progress of the Country Club Towers. 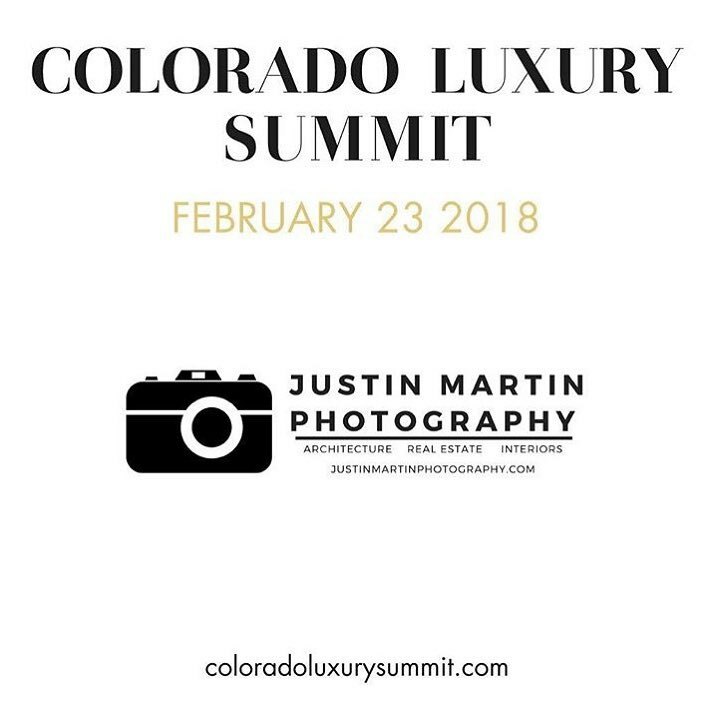 This project is located Just to the west of the Denver Country Club near the intersection of Downing and Speer. 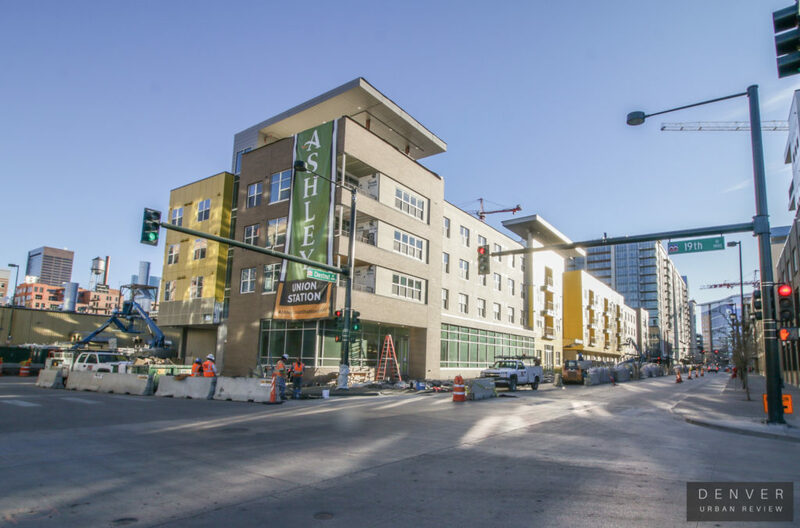 In total this project will house 558 apartments and 1005 parking spaces have been constructed. 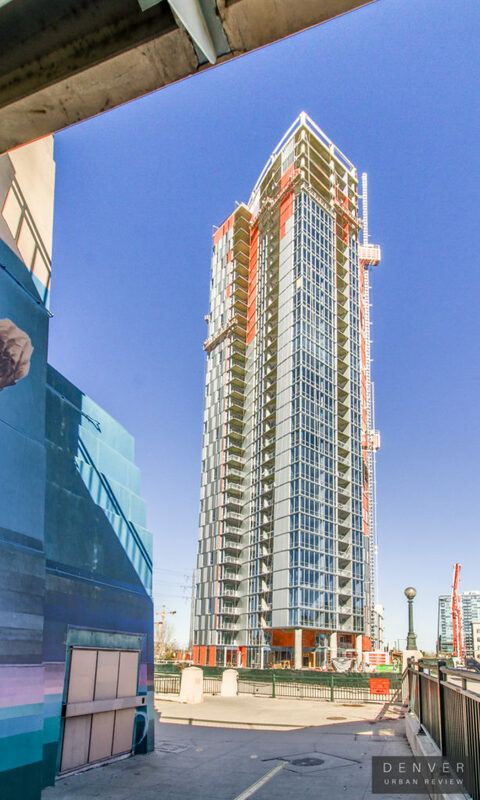 Units will be available in studio, one bedroom and two bedroom options. 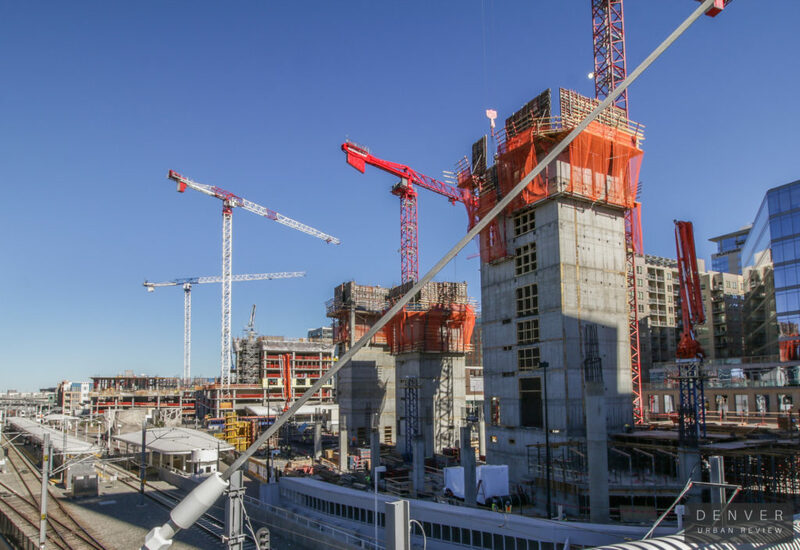 An amenity deck with a swimming pool will also be featured. 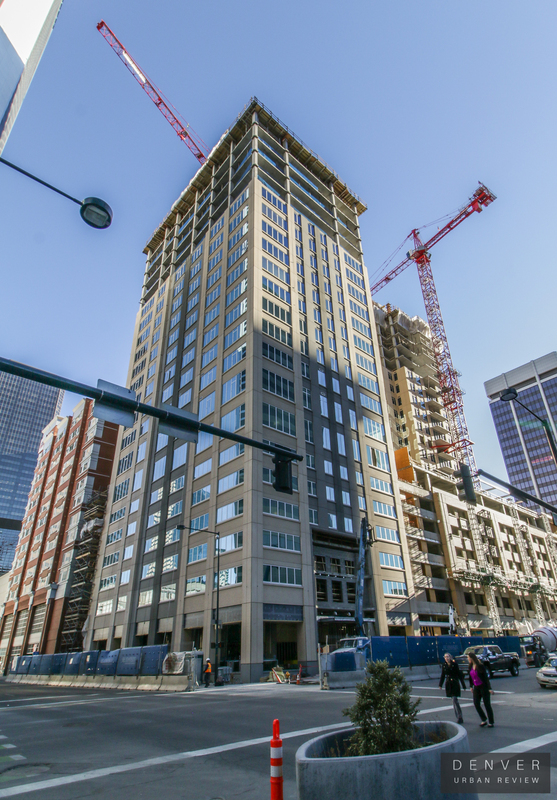 The Country Club Towers are 31 floors in height. 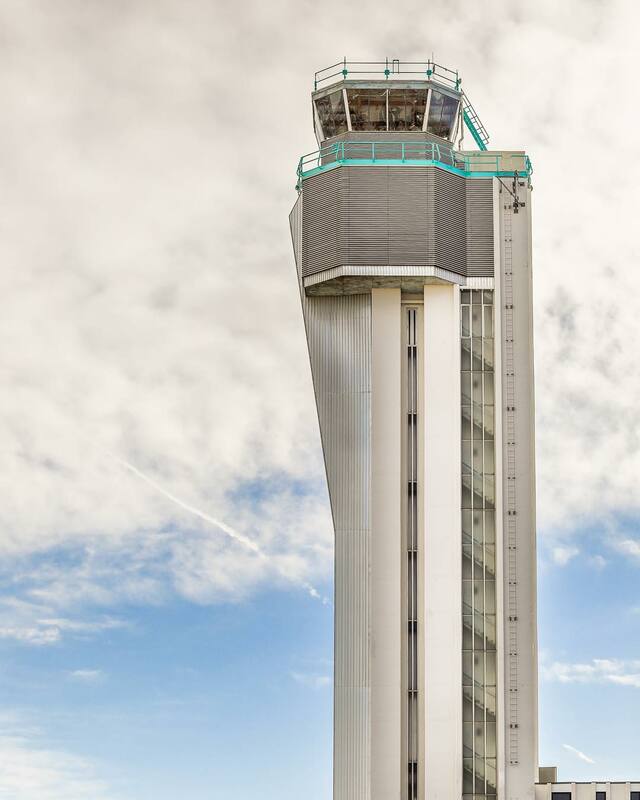 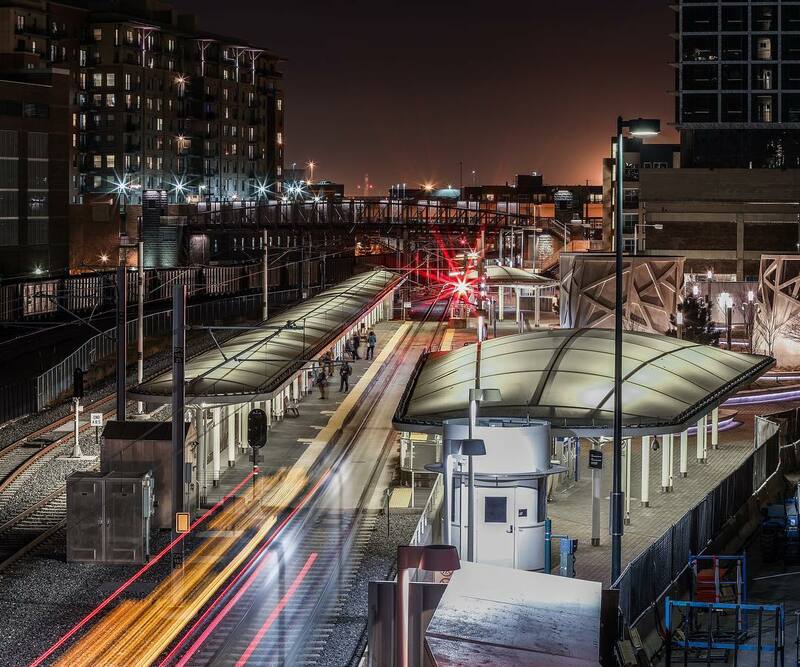 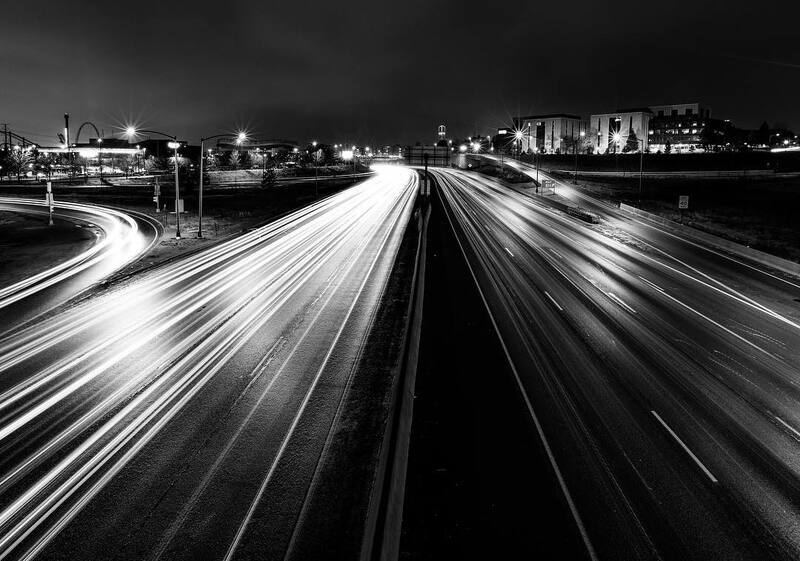 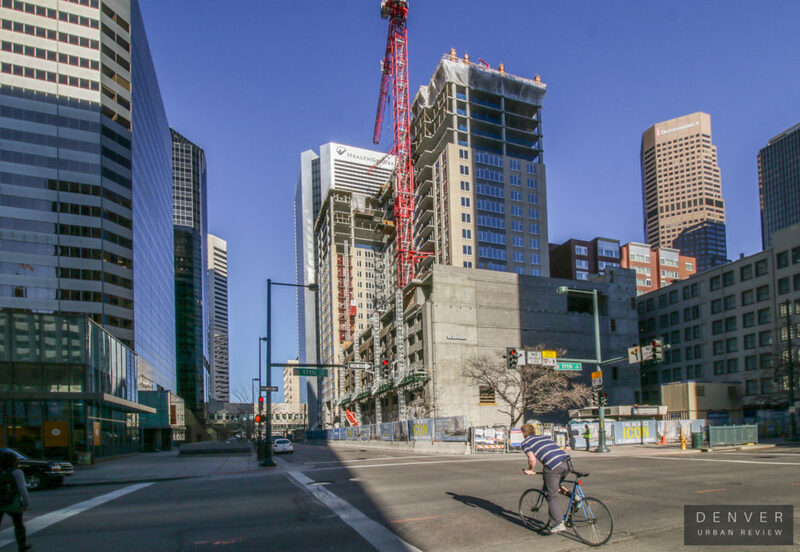 This project is being developed by Denver-based The Broe Group. 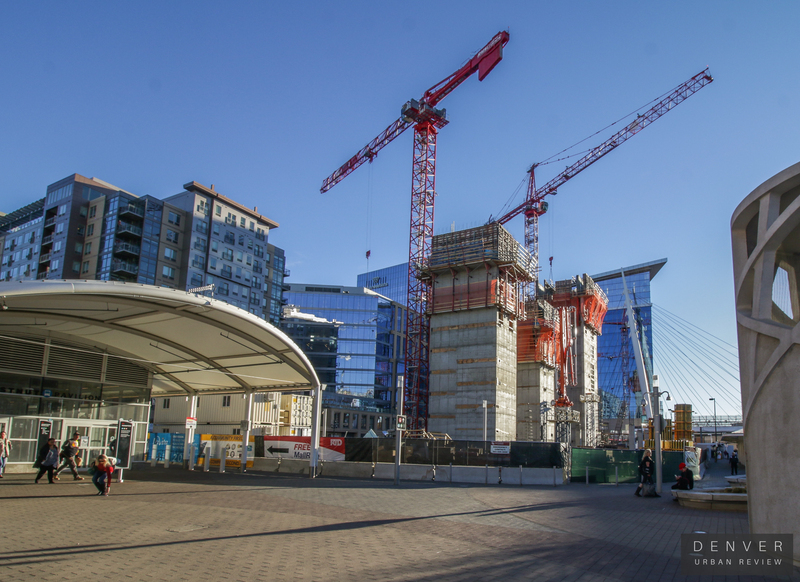 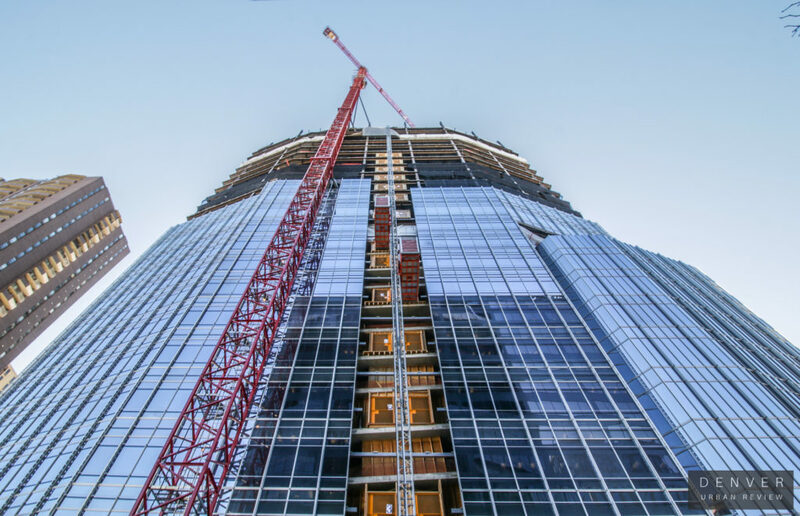 A topping-off ceremony was held at the construction site in March. 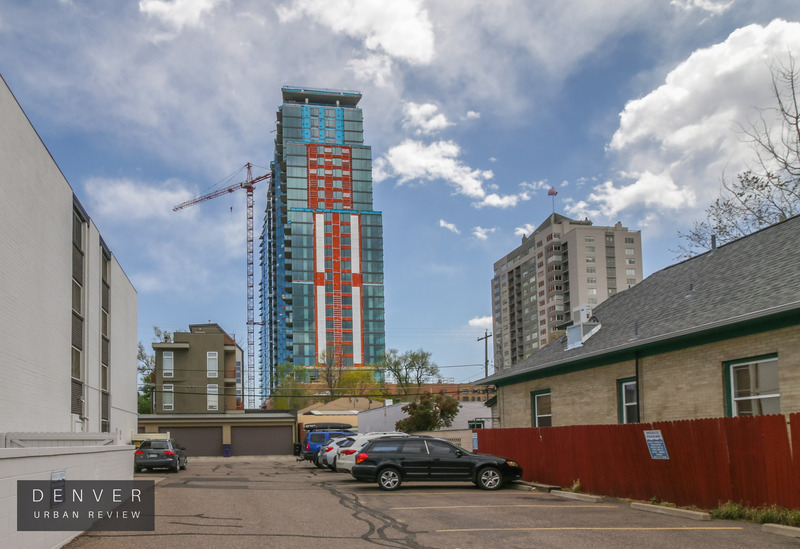 Here are some photos of the Country Club Towers I captured. 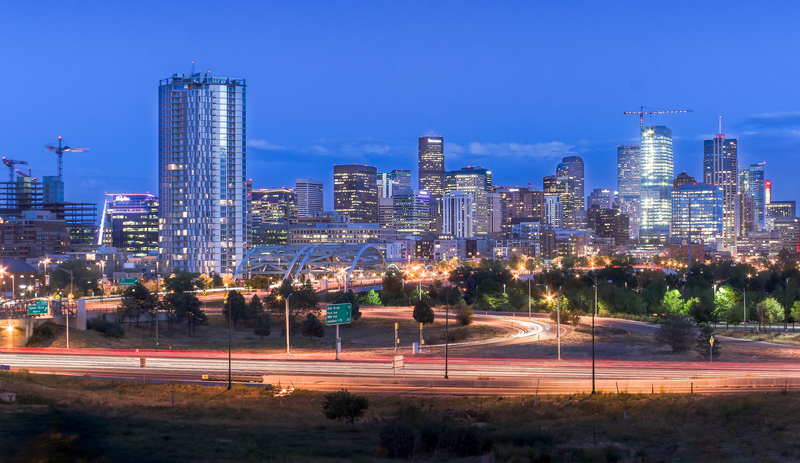 Here are a few recent photos I captured of the Denver Skyline from Diamond Hill. 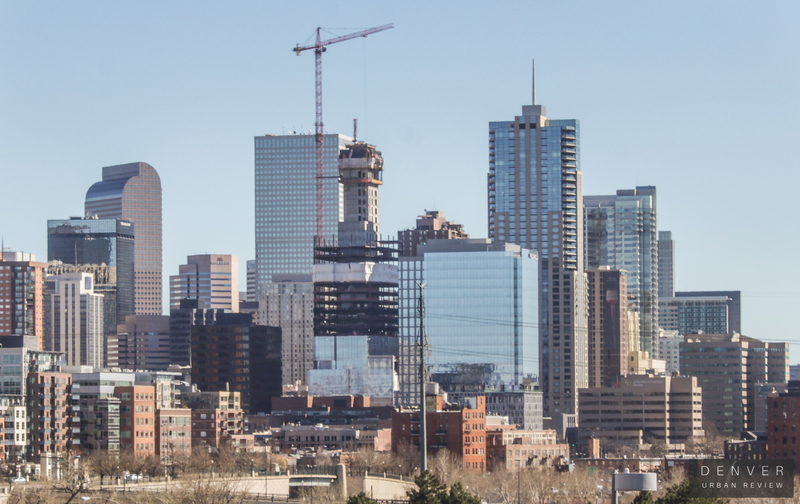 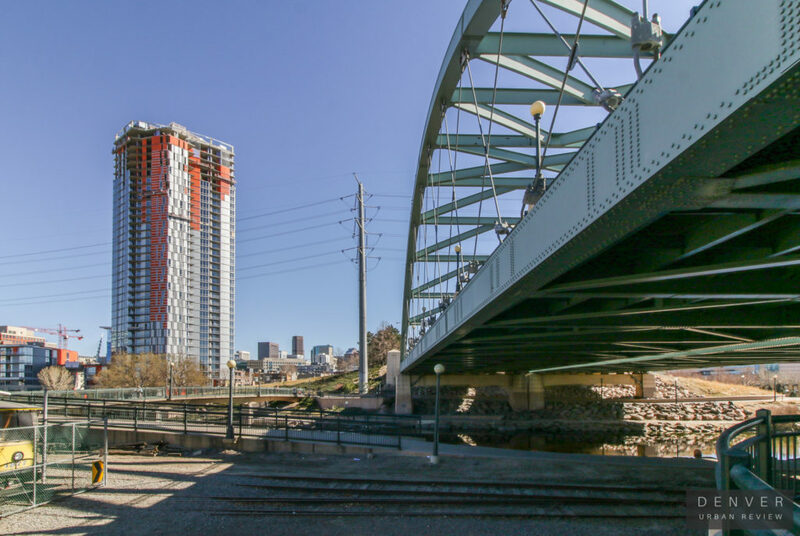 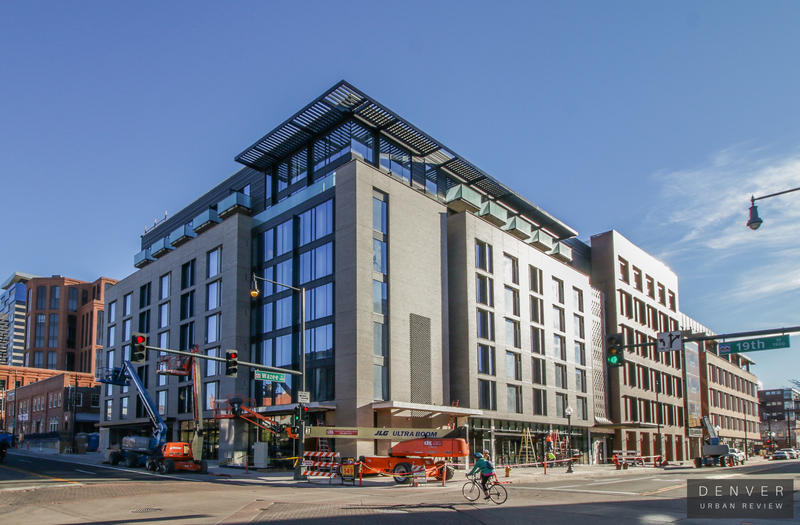 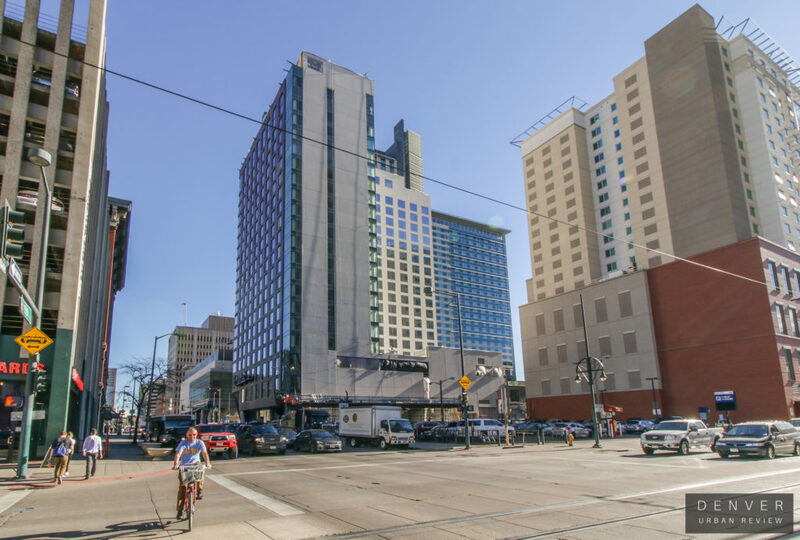 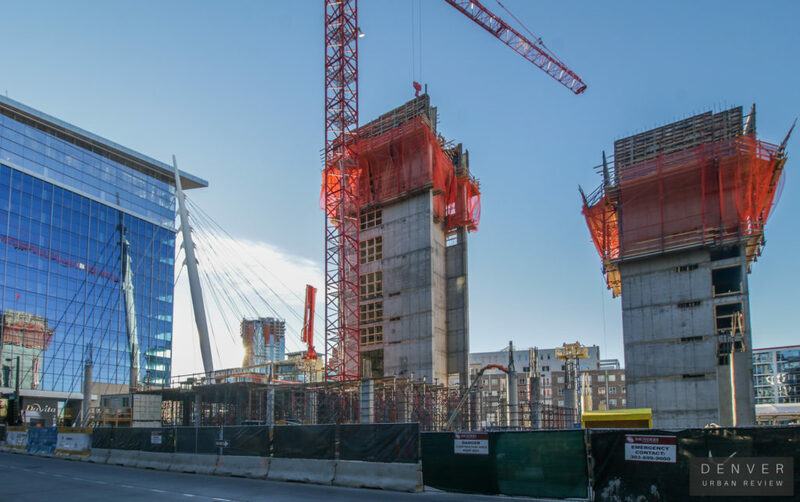 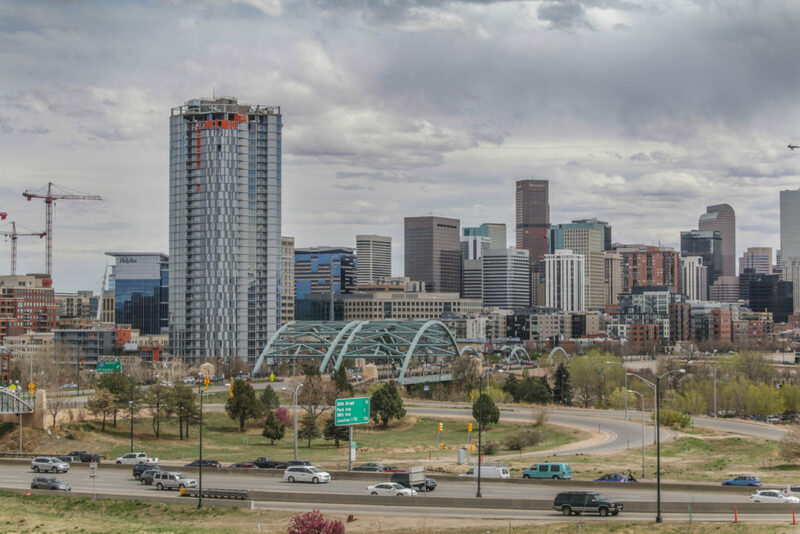 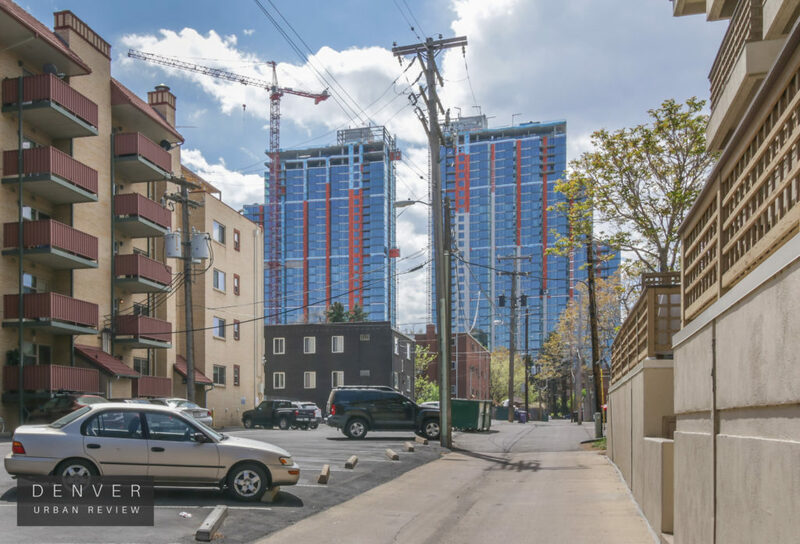 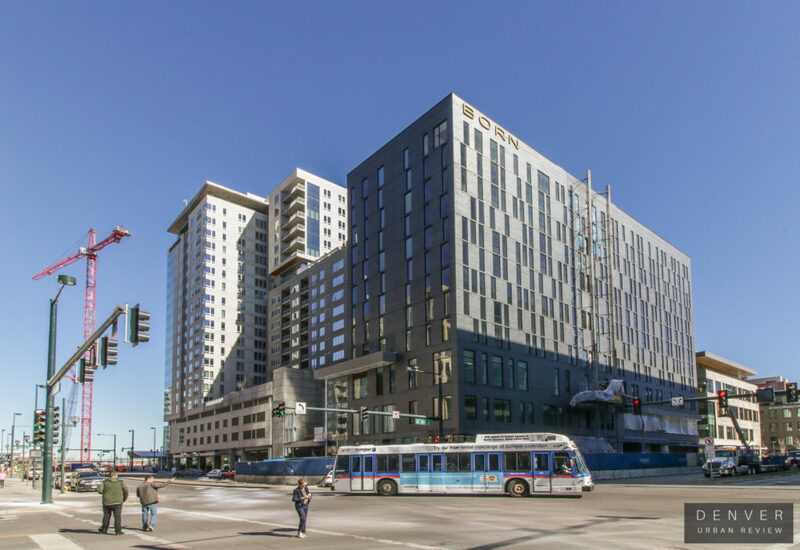 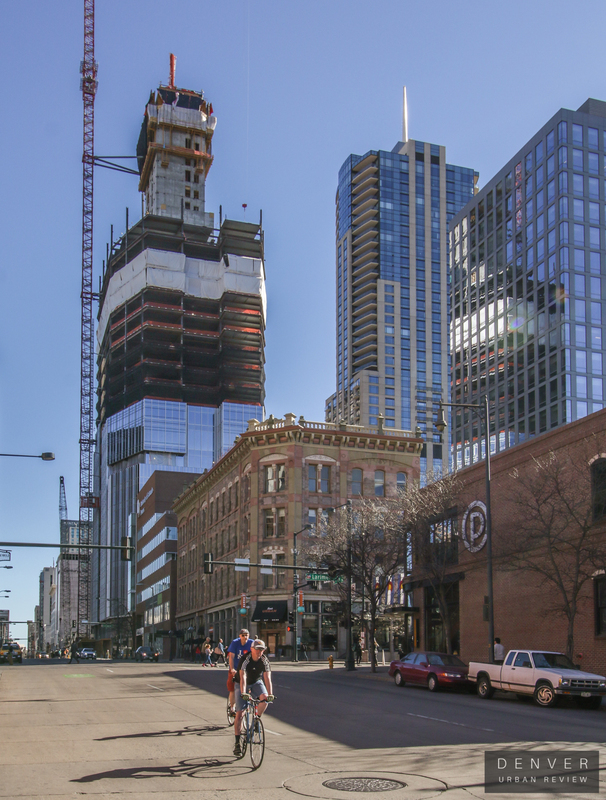 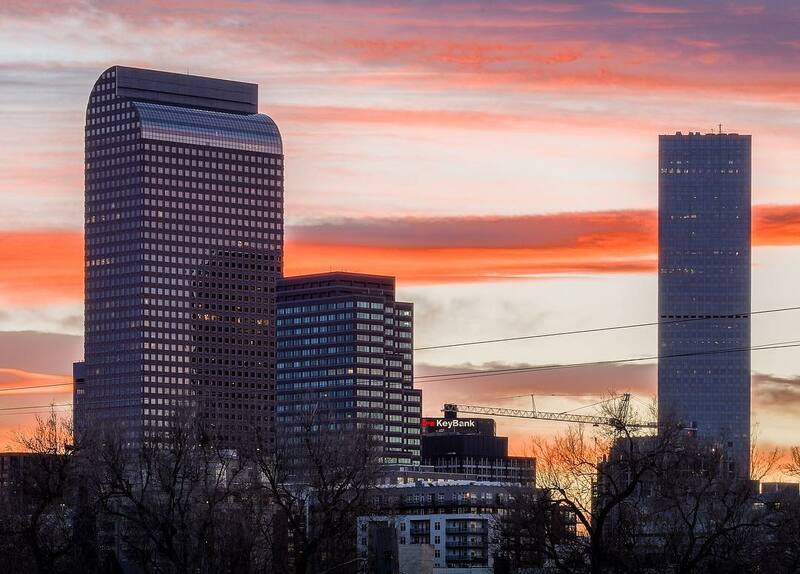 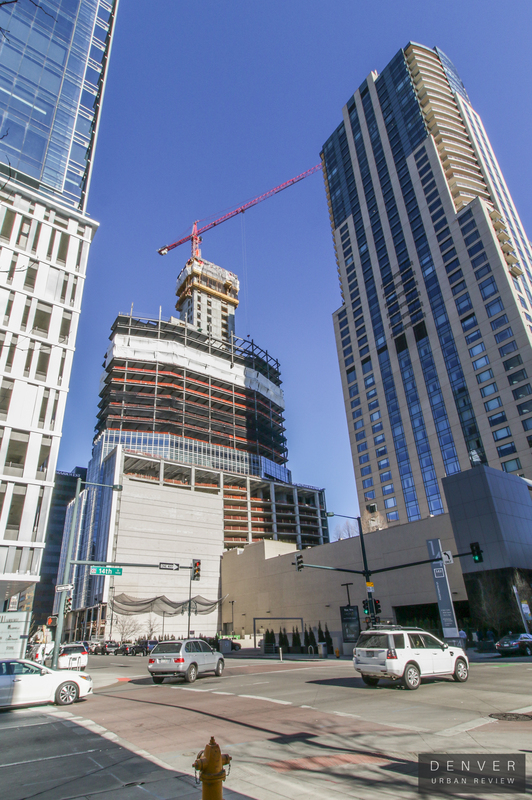 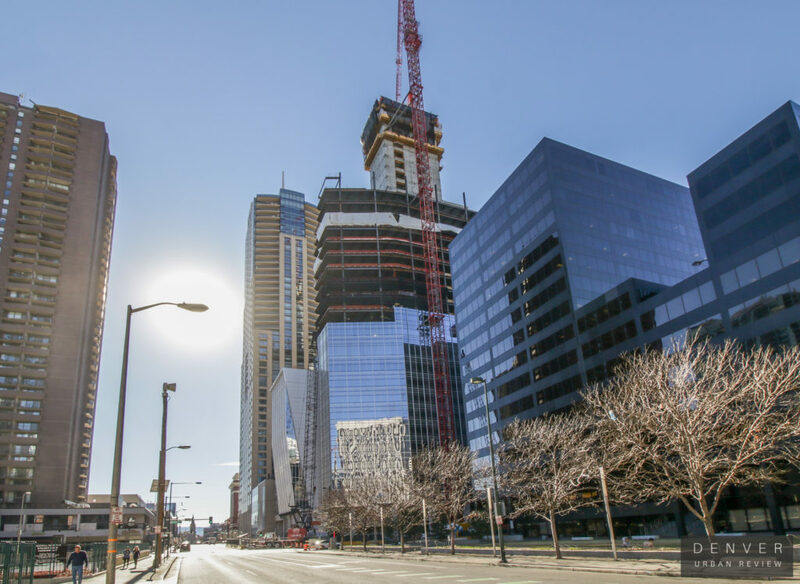 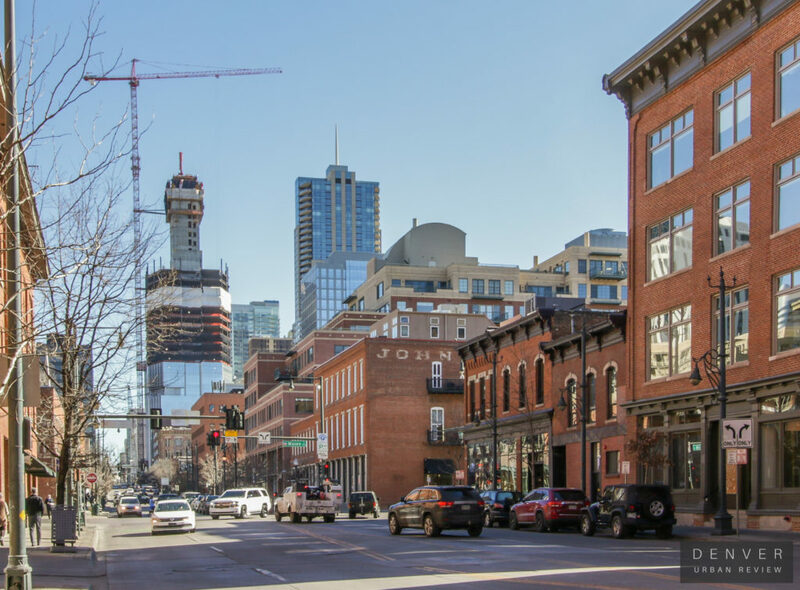 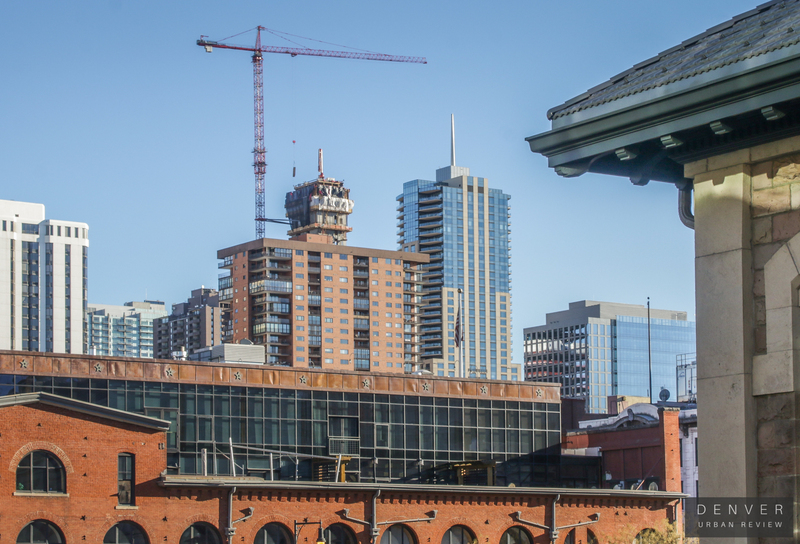 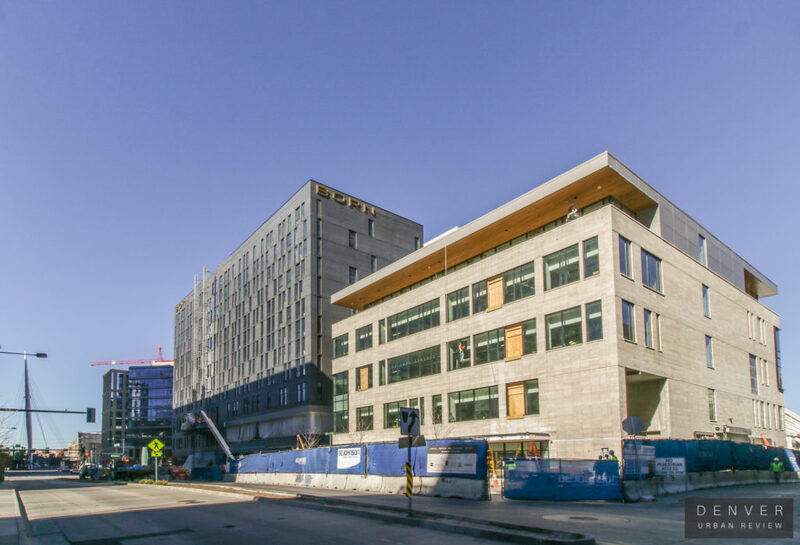 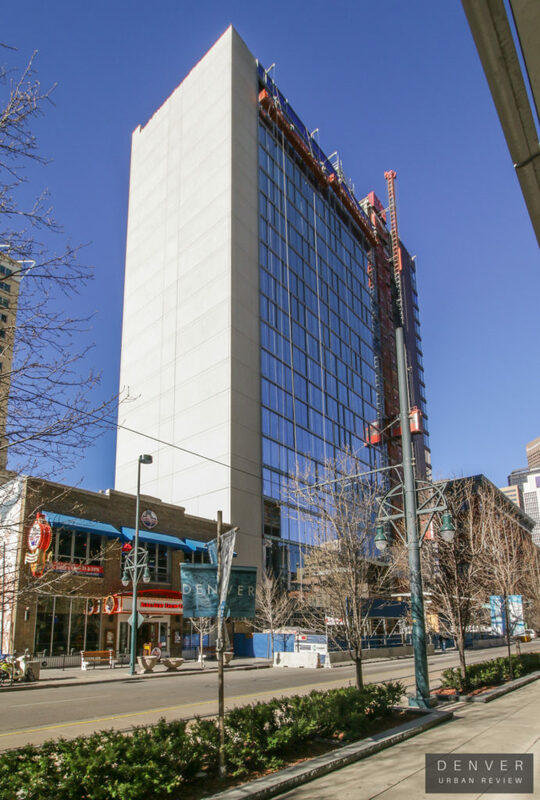 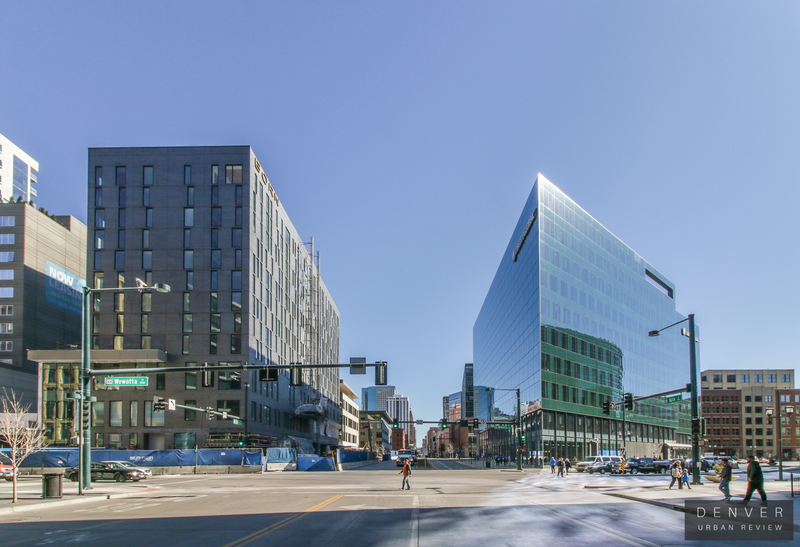 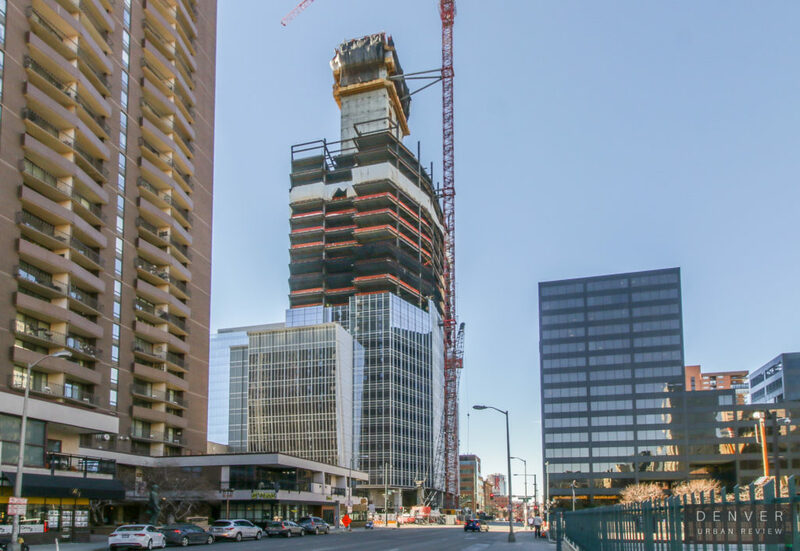 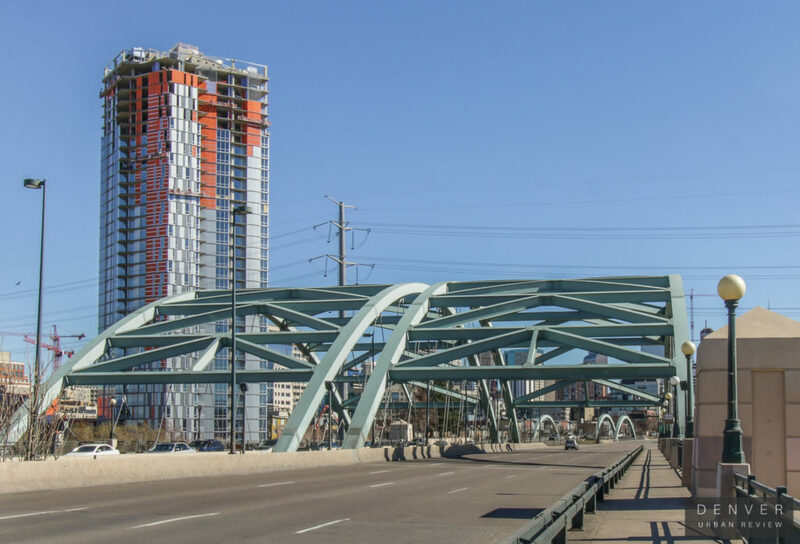 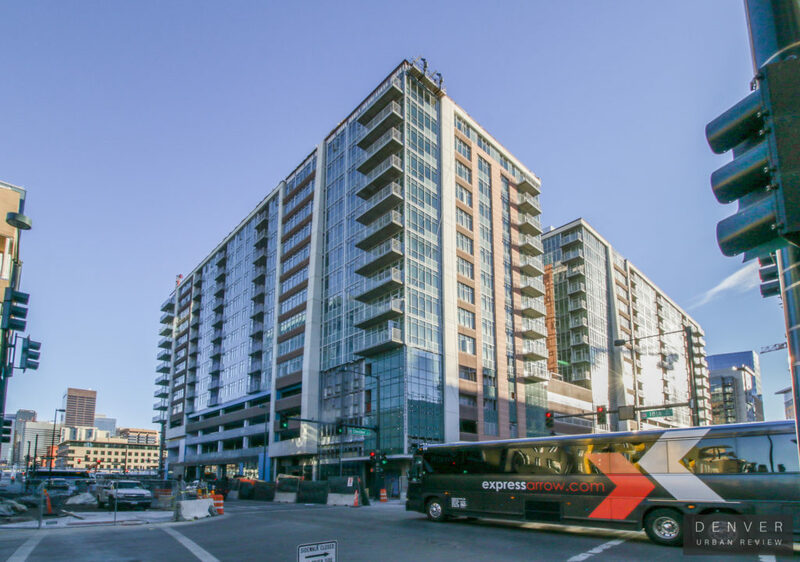 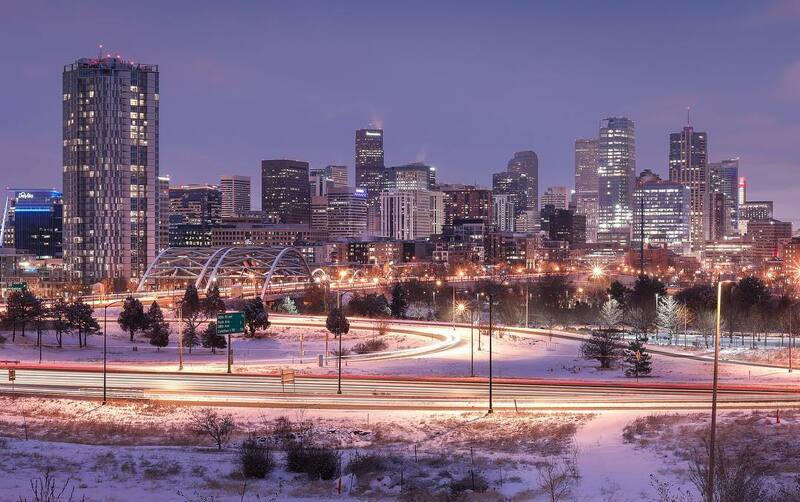 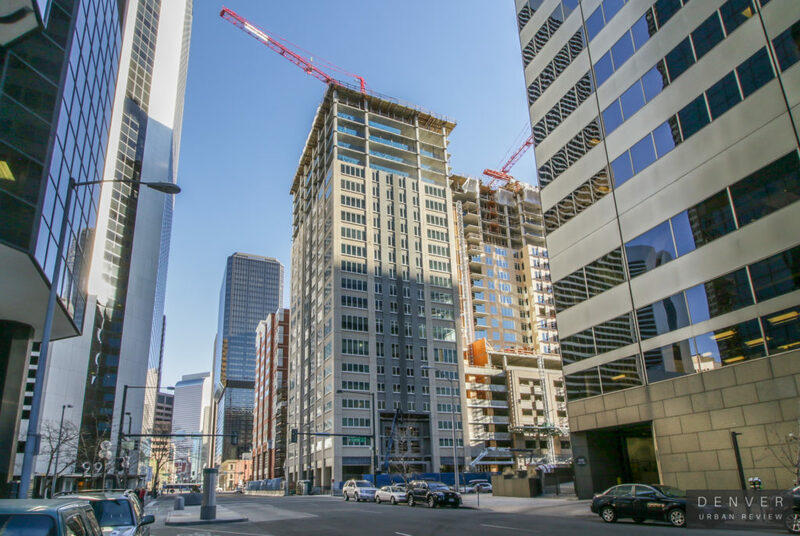 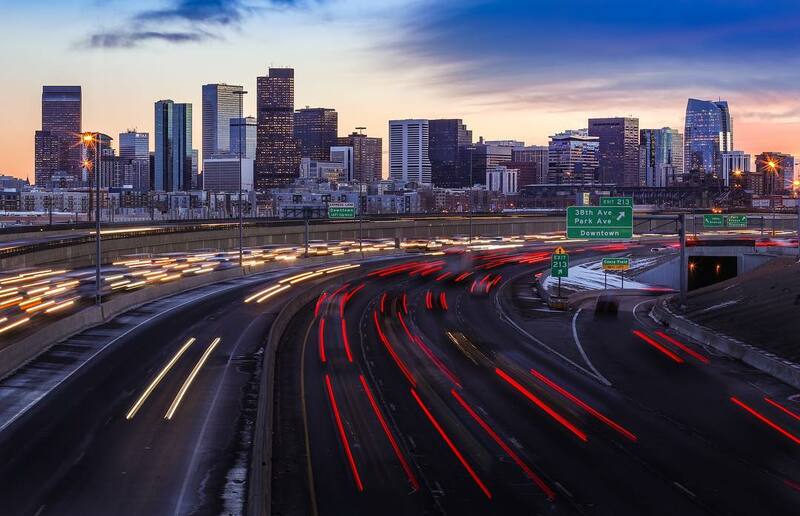 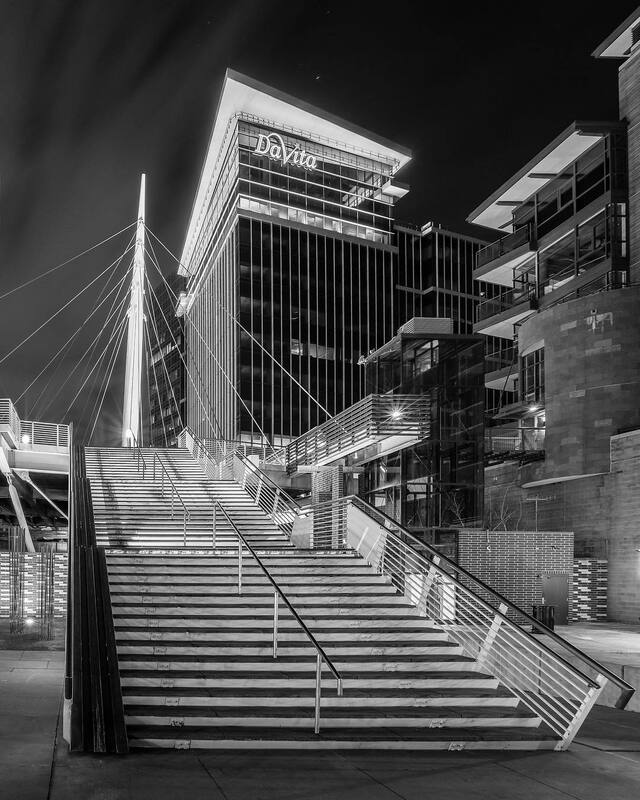 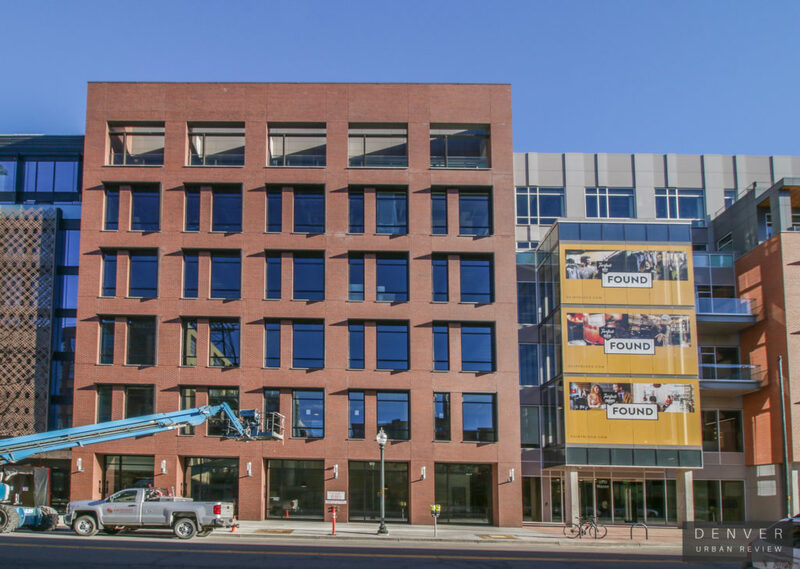 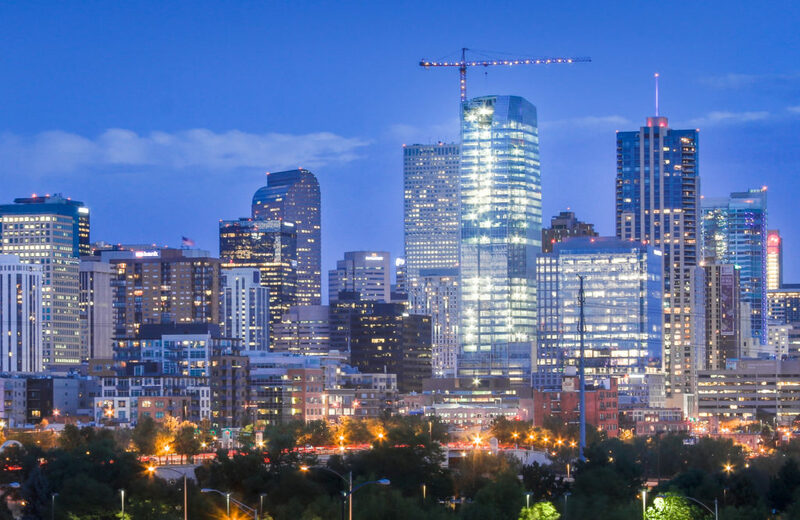 The Denver skyline sure has evolved in recent months as The Confluence has reached its full-height and the 1144 Fifteenth Street. 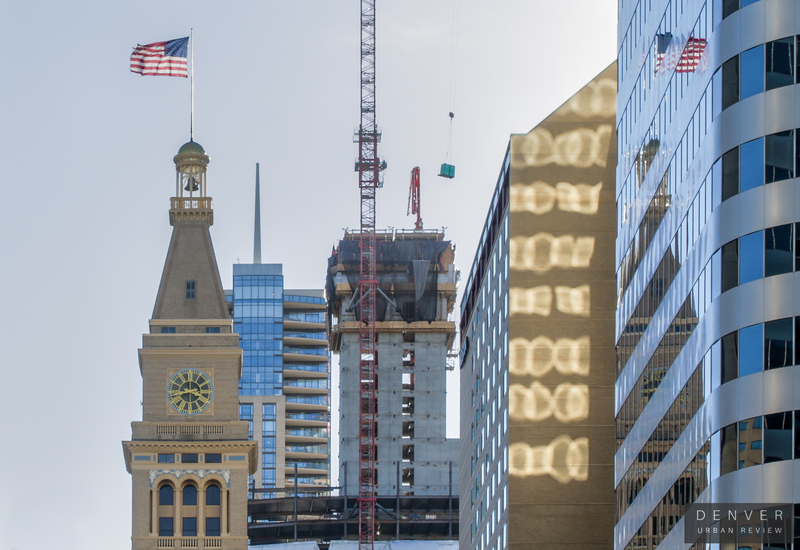 If you look closely you can also see 1776 Curtis rising between its neighbors. 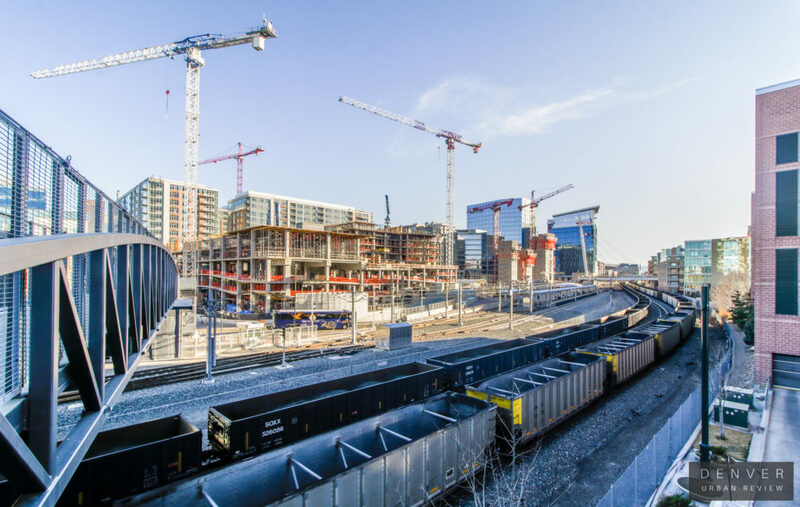 Construction cranes pepper the skyline the Union Station area as well.